There are some aspects of “Silent City” that work well for a detective mystery. Foremost is the setting. Murder and Miami spring “Dexter” to mind immediately, colors and vibrance of a shiny city. The Miami here goes beyond that cliché to something darker. The novel is also economical in its writing, scenes are not wasted, and the story stays moving at a good pace through a short read. Moments of inaction (particularly the start) are helped in that Segura creates an interesting protagonist in Pete Fernandez, a man lost in depression, digging his life into a deeper hole, a very unwilling and naive detective. The problems with “Silent City” ironically stem from some of these potential strengths above. Pete Fernandez is interesting because he is such an ordinary guy, not your typical detective. This is a nice change from the witty, brilliant, and generally lovable hard-boiled detectives of noir. But without that ‘performance’ from a witty protagonist, a Marlowe or a Spenser, there needs to be something else to really make the novel captivating or enjoyable. For “Silent City” there just isn’t. It’s economical in construction, but thereby becomes very standard and predictable. Nothing comes as a surprise. Fernandez is so ordinary that he becomes dull, so clueless that the reader figures things out well before Pete happens to stumble upon the truth. He is so hapless that it simply stretches disbelief to breaking that he wouldn’t be executed by the killer almost immediately. 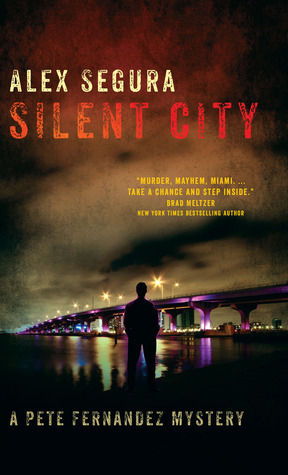 The setting, culture, and language of Segura’s debut novel are great, but “Silent City” is missing any element to really set it out as a noteworthy mystery or thriller, the sole novelty of its protagonist sadly dissolving with nothing to support it into the predictable plot, becoming a bland paste.